The LEGO Group is a privately held company based in Billund, Denmark. The company is still owned by the Kirk Kristiansen family who founded it in 1932. 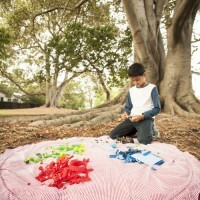 The LEGO Group is engaged in the development of children’s creativity through playing and learning. Based on the world-famous LEGO® brick, the company today provides toys, experiences and teaching materials for children in more than 130 countries. Our head office is in Billund, Denmark, but we have subsidiaries and branches throughout the world, and LEGO products are sold in more than 130 countries.